planned educational tours to New York City for middle and high school student groups. We have seen them all, and there are none better. 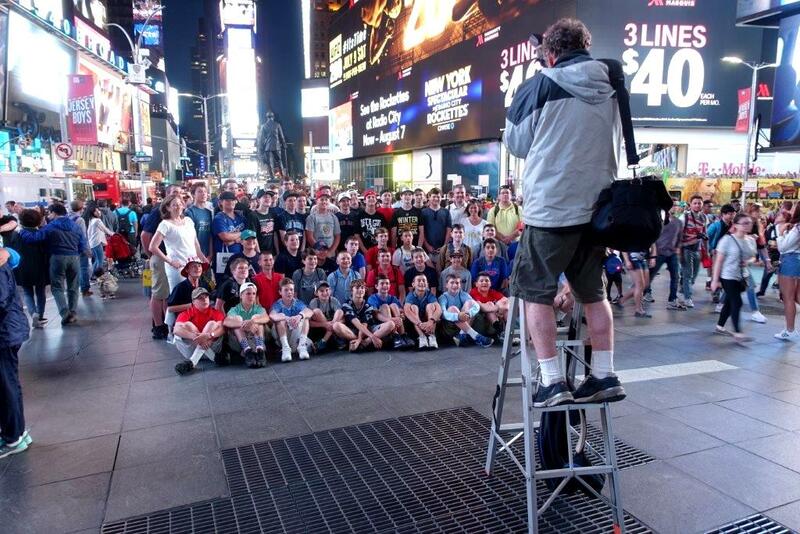 Students on ACIS’s New York City field trips (pictured above in Times Square) will also visit American icons that they’ve been learning about since they started opening books, including the Statue of Liberty, Rockefeller Center, Central Park, the Empire State Building, as well as Ellis Island, the September 11 Memorial, the World Trade Center, and many other places of cultural and historical significance. ACIS’s carefully crafted three- and four-day educational tours to New York City have been consciously planned, based on the interests, attention spans and feeding habits of tens of thousands of middle- and high school students on its trips over 30 years. ACIS’s stated goal for these field trips is to promote learning and bonding, while giving the students the most out of every minute spent at the destination (but without running them or their adult chaperones ragged). ACIS’s employs a pool of New York City’s top, licensed, professional guides, hired for their ability to engage, educate and entertain middle- and high school students. ACIS’s groups are always accommodated in clean and safe first-class hotels that have been inspected and re-inspected by senior management. Every activity and virtually every meal in every restaurant has been checked and rechecked to make sure that each group’s experience is positive, educational, memorable and consistent. If there are better educational tour programs anywhere, Visit New York has never seen one. ©2019 VisitNewYork.com. All Rights Reserved.